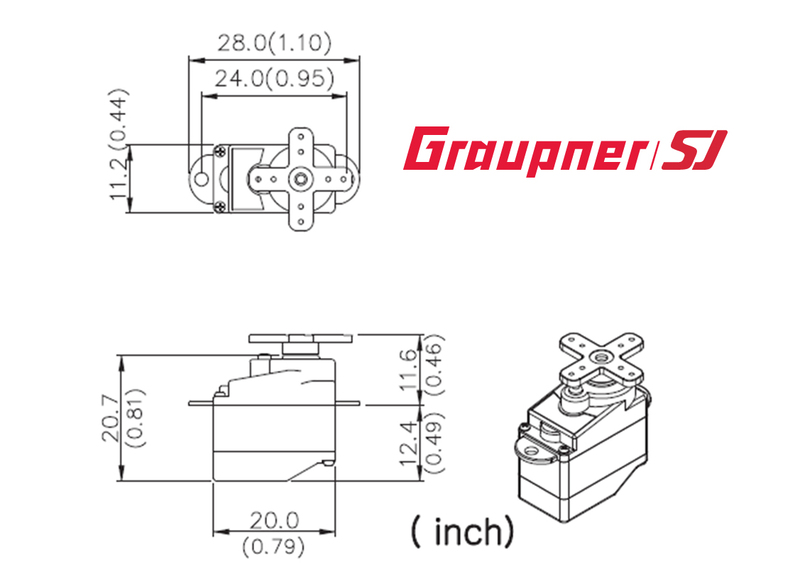 Designed with precision components for durability and long-life operations, the Graupner DES 131 Digital Micro-Servo with ZHR Connector delivers maximum torque and speed with minimum weight. Don’t be fooled by the small size: you will be surprised with the precision, torque and speed the DES 131 can deliver, making it the perfect choice for micro application with any indoor/park fly model. Perfectly compatible with any of our Graupner HoTT radios the DES 131 is ideal for the GR-12SC/ZH receiver due to its compact, lightweight size and real-time telemetry. The DES131-ZH can be specially programmed to meet all your needs via the free Graupner Servo Setup Software.